One of my favorite activities to do with the boys is to visit the Detroit Zoo. Our year-long membership comes in handy almost weekly, especially when the weather is nice! Now that Joey knows most animals noises it makes our trip the zoo even more exciting. Except when he runs around growling like a lion… that gets us plenty of looks and laughs from fellow zoo-goers. The Joey Point: His “move” when he sees an animal at the zoo! You can imagine my excitement when my friends at Door to Door Organics reached out to me regarding their partnership with the Detroit Zoo. These two organizations came together to create animal themed recipes for a Rezoopie Cookbook. The cookbook is meant to inspire kids to help their parents in the kitchen while creating AND eating healthy foods—- the same fruit and vegetable foods their favorite animals eat! Here’s a hard copy of the Rezoopie Cookbook— but you can also get each recipe online at Door to Door Organics! Porcupine Pickups Similar to my three-cheese quinoa bites, these pick-ups are super kid-friendly. I also enjoyed them dipped in a little BBQ sauce [thank you Joey for the tip]. Muffin tin recipes are SO kid-friendly!! Now obviously Joey and Anthony are a little young to help me with mixing and chopping, but Joey loved trying all of these recipes [aka poking them] and watching Mom cook and talk about the foods! Kids are never too young to BE in the kitchen IMO. Fruit Doves Grilled Rainbow Skewers Kids and kabobs. Seriously, there’s nothing they love more. You can certainly mix and match the fruit on the skewer [like I did] but you HAVE to try the banana yogurt dipping sauce. No substitution there— and Joey gobbled up all of the dipping sauce. Zebrapple Kale and Sweet Potato Salad Joey immediately picked off the apples and sweet potatoes, and I was OK with getting to munch on the extra kale from his salad. What I love about this recipe is that it’s PACKED with nutrients and also serves as a main dish [I added grilled chicken] or side dish. Again, DTDO has a whole series of animal themed recipes in the Rezoopie Cookbook— not just the ones I shared here. 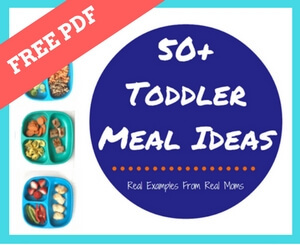 These recipes have been created with kids in mind! What child wouldn’t want to eat like their favorite animal at the zoo? Be sure to head on over to DTDO website to get all of the Rezoopie recipes in the free, online cookbook. And if you are local to Detroit, you’ve GOT to visit the Detroit Zoo! Tell them Joey and Anthony sent you. And that Anthony is ready to eat zoo food too! All smiles at the zoo… even if he doesn’t know a lion from a gorilla! You might have guessed I’m a big fan of DTDO— I’m SO thrilled to offer a special discount for all of my readers. Simple use the code “MOMTOMOM” to save $10.00 off your first order on their website! For more information, be sure to follow Door to Door Organics on Twitter, Facebook, Pinterest, and Instagram! Disclaimer: I am proud to partner with the Door to Door Organics to share my experience using their online grocery services. Because of these great partnerships I am able to share delicious and nutritious family-friendly recipes. As always all opinion and ideas are 100% my own. We love hanging out at our local zoo too! 🙂 Love all the cute, kid friendly recipes!